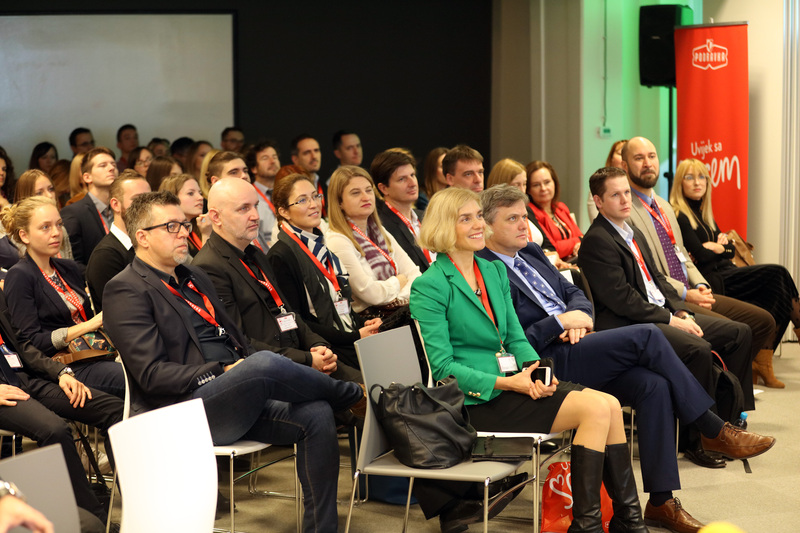 Organized by Podravka, 4th International conference "Knowledge in focus" was held on 24th November 2016 in Zagreb, with the subjects of learning and innovations in digital era. The main topic of the conference was organizational culture of learning and innovations in digital era, and as part of the conference it was also discussed about the transfer of knowledge and innovations between various cultures, learning, innovation and corporate culture in digital era, and female view on increased competitiveness of organizations through innovativeness. The conference gathered more than 200 participants who contributed through lectures, business cases, panel discussion and workshops. Among lecturers were top experts in the field of innovation, digital transformation, learning and strategic development, among which was also Marcel Bogers, coauthor of Open innovations definition. 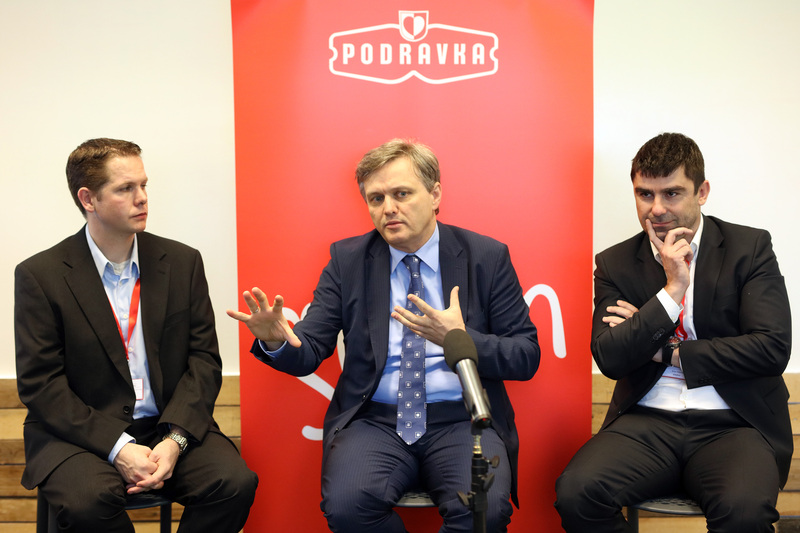 Emir Džanić, Open innovations manager at Podravka pointed out: "At Podravka we develop a system which includes innovations in products, but also services and business models, placing us among leaders in the world food industry. Open innovations system enables modern industry to overcome the limitations of own capacities for innovation and ensures the flow of ideas with the environment which includes the consumer, scientific and expert community, suppliers and others. 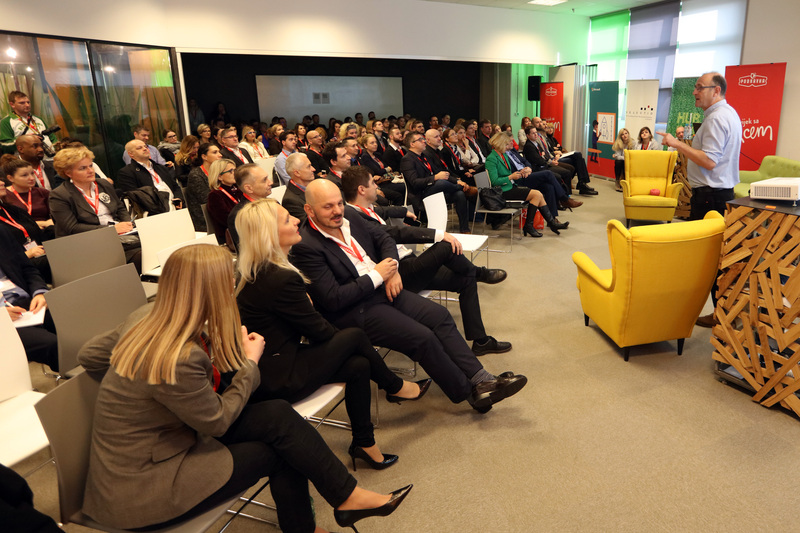 For implementing the open innovations system Podravka received this year an important national award Best HR Practice organized by the portal Moj posao and the company Selectio. Besides, our system will be presented at the world conference World Open Innovation Conference at Barcelona, organized by prestigious UC Berkeley." Marcel Bogers from the University of Copenhagen, one of the leading experts in open innovations in the world explained the concept of Open innovations and why it is an excellent concept for Podravka. „Innovativeness enables a company to be different and separate itself and stay ahead of the competition. Innovations definitely contribute to implementation of the strategy and enable a company to offer added value to its buyers and all stakeholders. Learning is the most important part of the innovation process. Companies can learn in different ways; for instance from research and development, which will enable new insights which can lead to innovation. What is more, learning is an important precondition of joint work, acquiring knowledge from external resources, which will again increase the probability of joint work, acquiring knowledge from external sources, which will again increase the probability of developing further innovations. In the food industry it is important to consider specific traits of the industry itself and constantly develop new business models so that they be competitive“ – Marcel Bogers explained. Lecturers at the conference were Donald Clark with the subject „2,500 Years of Learning Theory in 25 Minutes“, Bob Little as panel discussion moderator „Doing business across cultures", Michael Anderson with the topic „Leadership of Innovation" and Keith Bradley panel moderator for „How to support your employees/team creative energy in the workplace“. 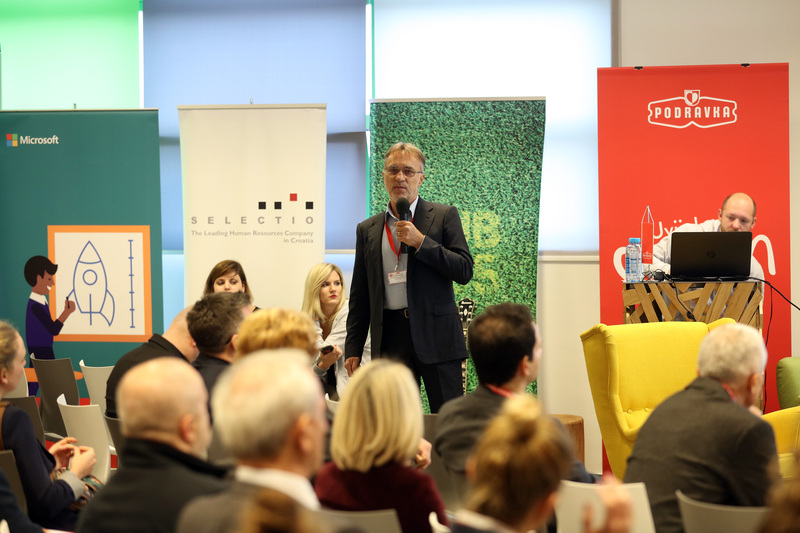 As part of the conference, rewards were given to the winning teams of the first regional Food Hackathon called „Hack the future of food“, organized by Podravka in October. 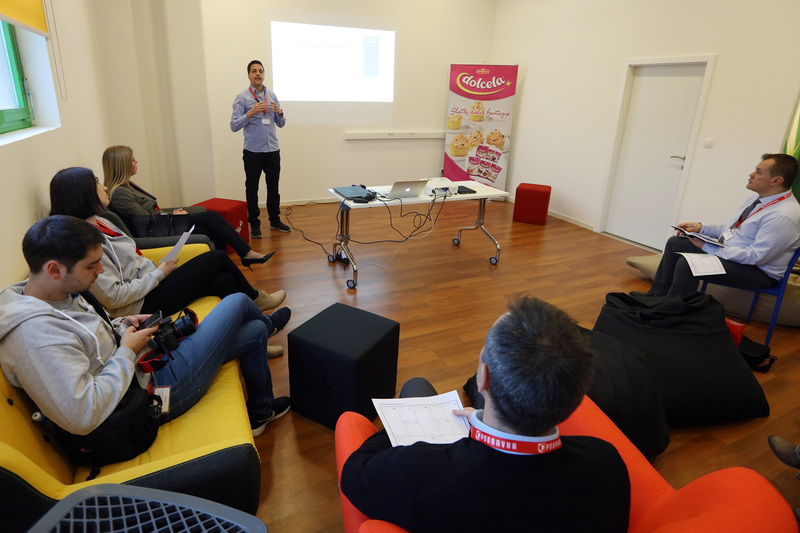 About forty contestants, selected in cooperation with the universities (PBF, FER, TVZ, ZŠEM), student association for innovations in food PROBION (PBF) and Coolinarika, were dived into teams who on 22nd and 23rd October 2016 created new ideas with the subjects of: food and technology – internet of food, the future of food – cool food and food and sustainable development In the category of food future/cool food the winner is the team „Food Scientists“), who connected food and learning of science through game. Team „PodrAPPka“ were the best in the category of food and technology /internet of food developing the idea of purchasing products under certain price terms via online shopping. Category of food and sustainable development /sustainable food ecosystem was best presented by the team „HraniTeam“ with an imaginative idea of how to prevent food wasting. Special peer reward went to the team „Foodology“ who competed in the category of internet of food. 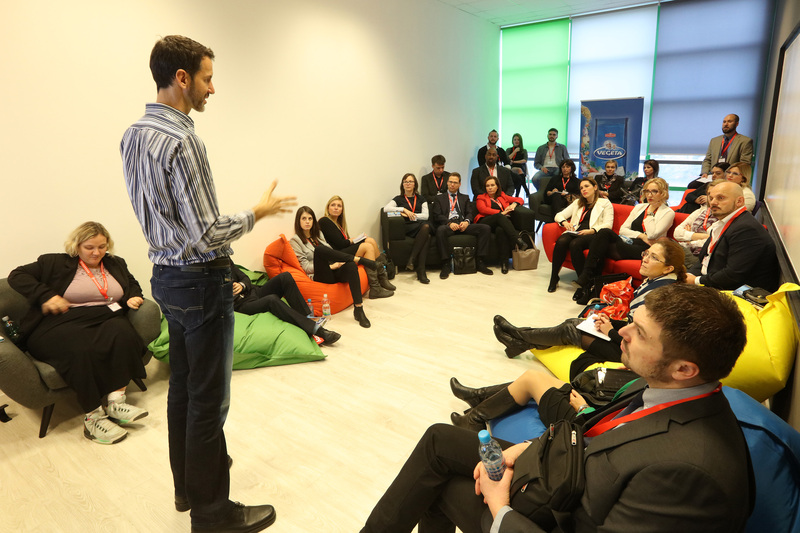 Next to Podravka, the winners were rewarded by other partners of the conference – ILBA, Microsoft, Algebra and Cognita.